This marker seems to have a similar genesis and trajectory to the Khoisan Gene. 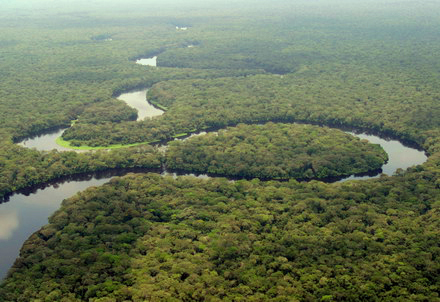 It attains its highest frequency in the Hutu of Rwanda—a low, but prominent 5%. Most other African as well as non-African populations are without any trace of it, so apparently it not leave Africa with early humankind’s world travels. 1 in 20 Africans have it, but only 1 in 50 North American blacks. It has a modest appearance in the Middle East and Europe. 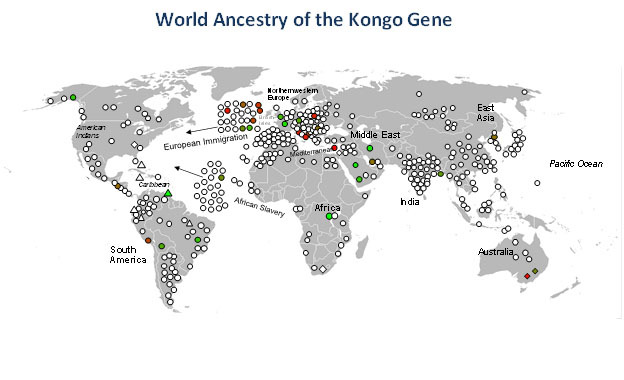 The extreme rarity of the Kongo Gene is shown by its total absence in the vast majority of world populations (blank dots).